LAS VEGAS (ASSOCIATED PRESS) — Scientists are preparing to do a microscopic study of the Las Vegas gunman's brain, but whatever they find, if anything, likely won't be what led him to kill 58 people in the worst mass shooting in modern U.S. history, experts said. Stephen Paddock's brain is being sent to Stanford University for a months-long examination after a visual inspection during an autopsy found no abnormalities, Las Vegas authorities said. Doctors will perform multiple forensic analyses, including an exam of the 64-year-old's brain tissue to find any possible neurological problems. 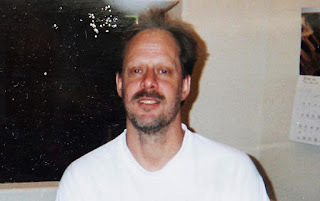 Vogel told The Times that he will leave nothing overlooked to put to rest much of the speculation on Paddock's health as investigators struggle to identify a motive for the shooting. The examination will come about a month after Paddock unleashed more than a thousand bullets through the windows of a 32nd floor suite at the Mandalay Bay casino-hotel into a crowd below attending an outdoor country music festival. After killing 58 people and wounding hundreds more, Paddock took his own life with a shot through his mouth, police say. The microscopic study is not a standard practice but is regularly used as needed. Families sometimes request such a detailed examination to better understand their own genetic risks. Peterson said it's also common in high-profile cases such as Paddock's, where so much is riding on the results that all forensic options must be exhausted. "When police look for motive, it's kind of misplaced in cases like this because they appear to be crimes of rage. There's no motive for crimes of rage. It's a crime of passion," Fields said. One such case involved the University of Texas shooter Charles Whitman, who fatally shot 13 people in 1966 from a clock tower on the Austin campus. Whitman was found to have a pecan-sized tumor in his brain, though the suggestion that it caused his rampage is still debated decades later. There also would likely be a review of the brain at a molecular level though DNA, Peterson said. Experts say the brain study on Paddock will be a worthy effort for scientific reasons. Dr. Paul S. Appelbaum, a psychiatry expert at Columbia University, said that at minimum, it might yield something even tangential that can be passed on to the public, such as awareness for psychological disorders or brain diseases.